Recently the San Gabriel Complex fire has been wreaking havoc super close to where we live. What began as two separate fires, the Fish Fire and Reservoir Fire, they were combined into one name as they are very close to each other. The fire is now 15% contained and 4,500 acres have burned. Over 800 people were originally evacuated, and many of them have since returned home. Mike and I live three miles from the edge on the fire that started out as the Fish Fire. 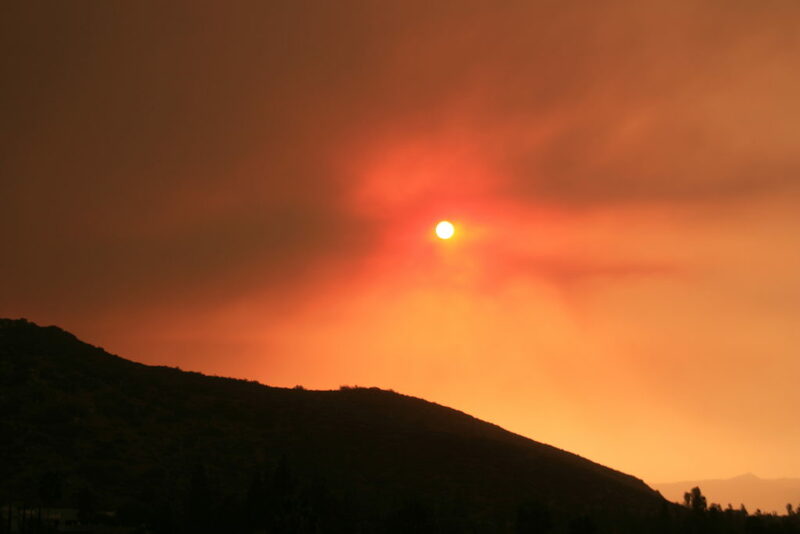 Although the photo is not of this fire (I couldn’t find a hi-res photo for the blog post), it’s very close to what the sky looked like over our house as the sun set each evening. On the first night of the fires we could see flames on the ridge behind our house and the glow beyond the ridge was gorgeous yet scary. The 1,000 LA County firefighters that started working in 110+ degree heat to fight the fires and to keep us safe. I have been sending big amounts of gratitude to the firefighters via social media throughout the time since the fires began, each one of them an amazing person in a very tough situation. And the abundance of wildlife that lives all around us, from bears to deer to foxes, skunks, hawks and coyotes. It’s pretty sad watching fire destroy the land around you knowing that this land is filled with wildlife. On day two of the fires we were told to be on standby to evacuate. 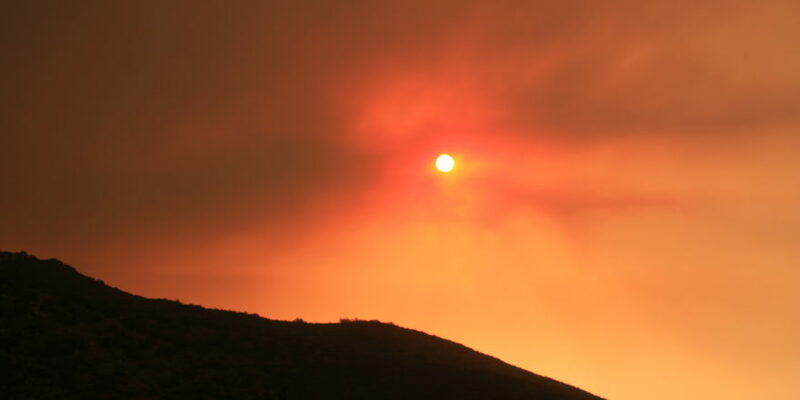 Yesterday we were taken off the list, yet the smoke and ash kept telling us that the fires were still strong. We were ready to move out if necessary, with the dogs, vegan treats and some clothes all set to be put in the cars in an instant. I would also like to make sure people know how quickly companion animals were thought of during the initial evacuations just east of us. Kudos to the city of Duarte for being on top of this and making sure people had a place to bring their companion animals if they couldn’t bring them to where they were evacuating. These things are so important, and I was impressed. That’s my update. Thank you for reading and thanks to all of you for your kind and loving thoughts sent to us here and through social media.